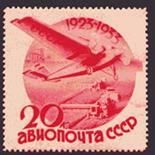 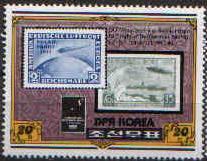 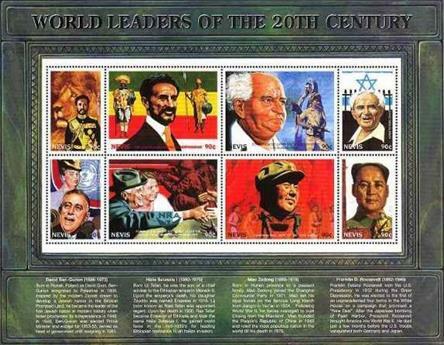 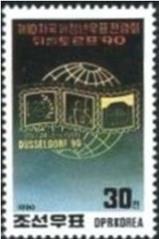 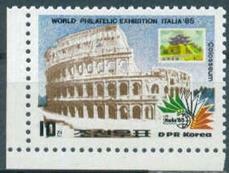 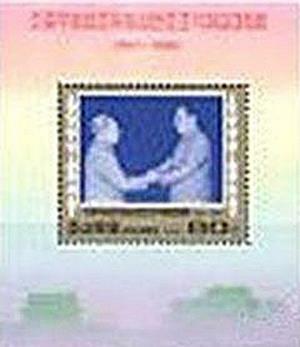 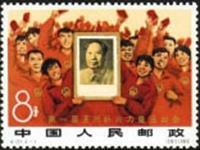 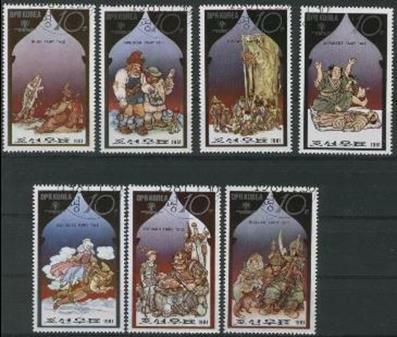 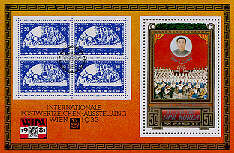 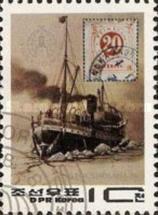 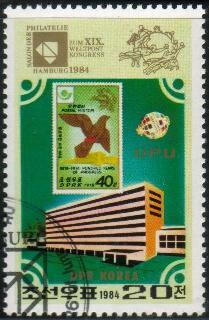 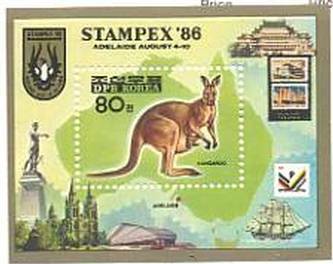 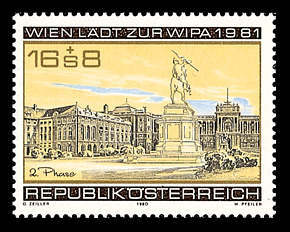 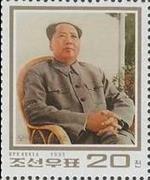 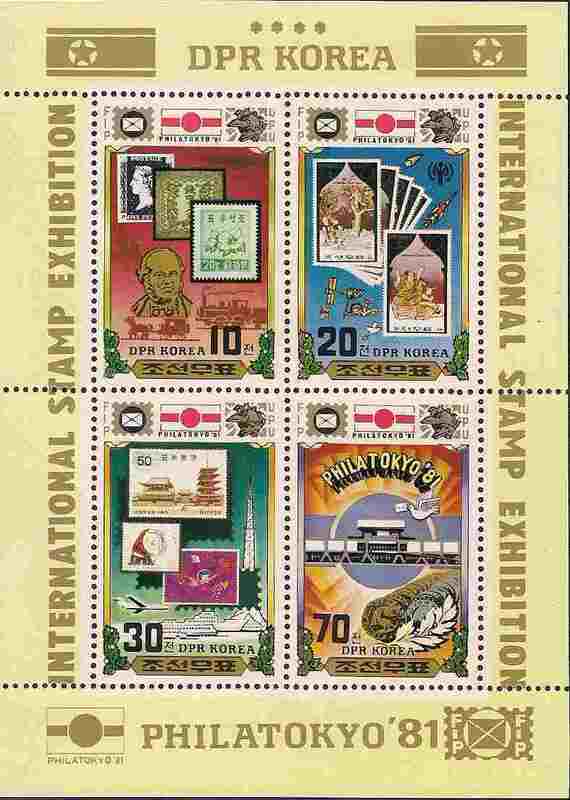 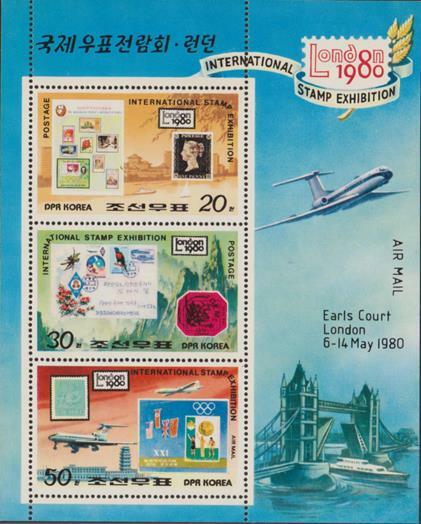 19th UPU Congress / Hamburg 1984 Stamp Exhib. 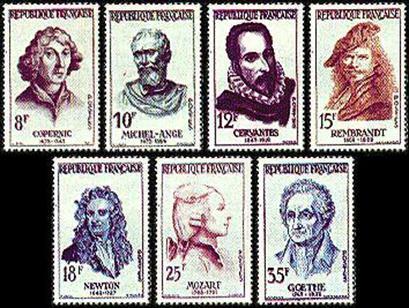 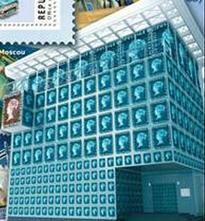 The World Stamp Exhibition Philexfrance'99 held in Paris, France from July 2 to 11 1999 on the occasion of the 150th anniversary of the first French stamp issue. 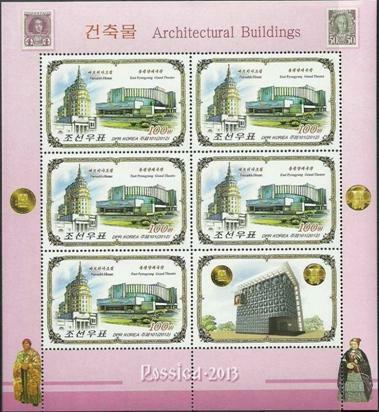 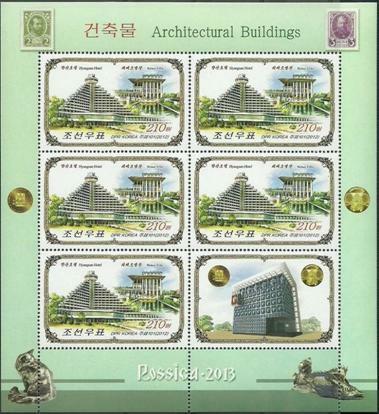 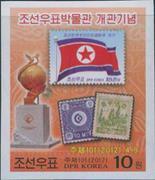 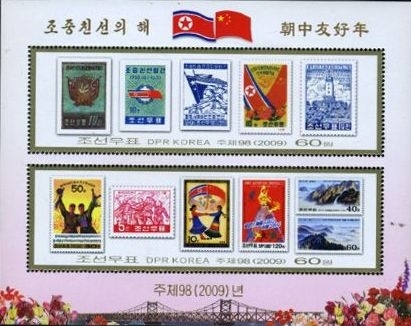 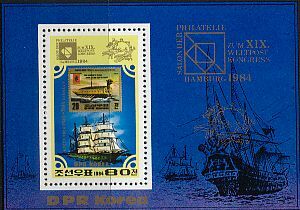 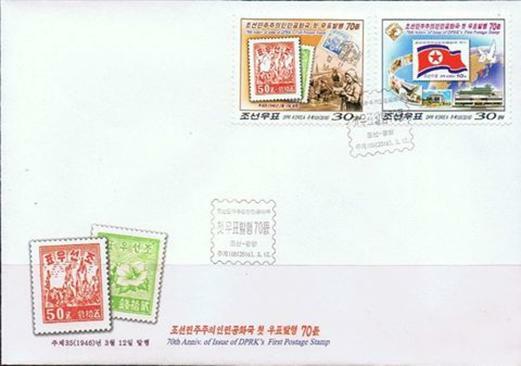 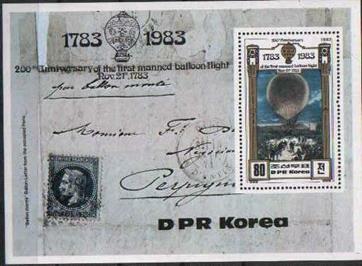 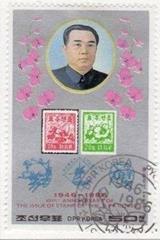 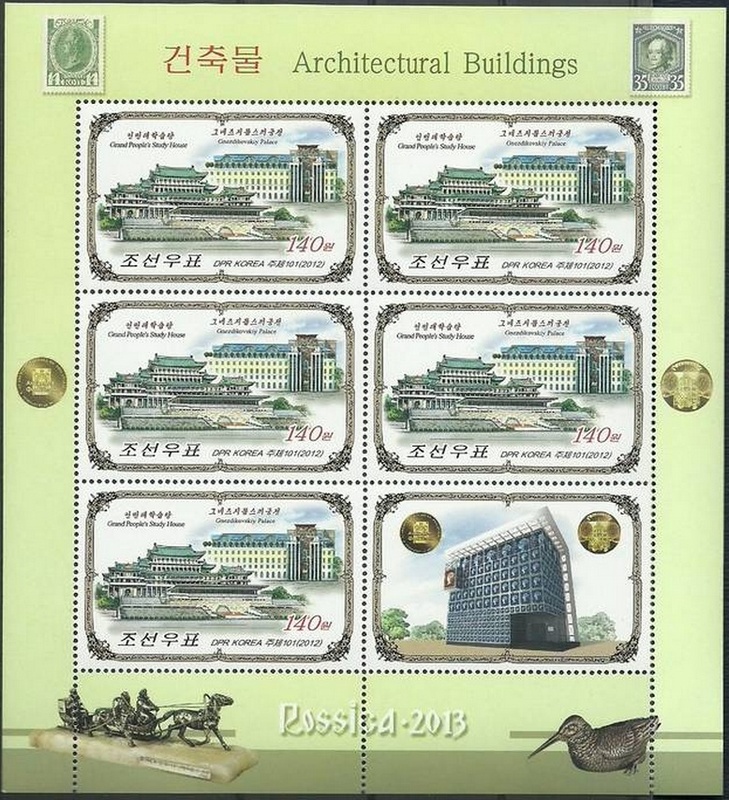 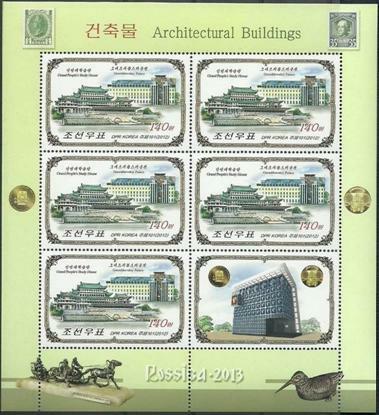 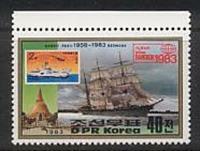 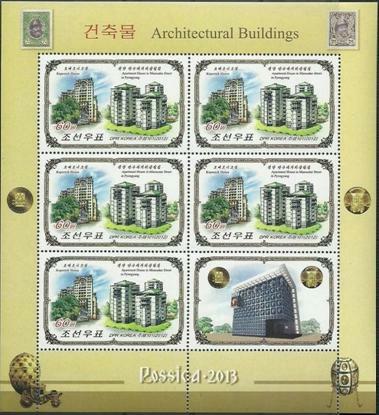 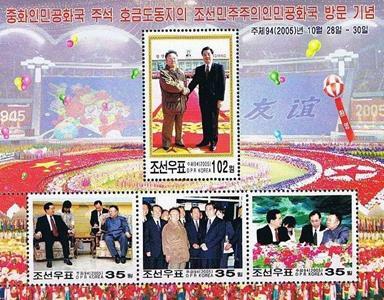 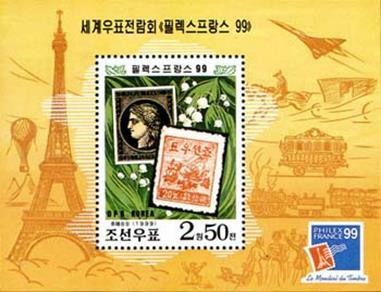 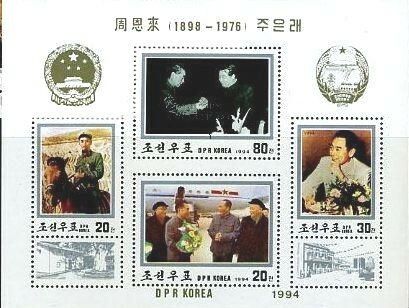 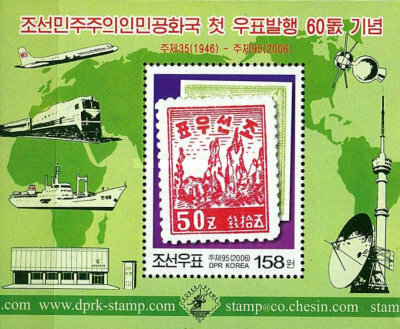 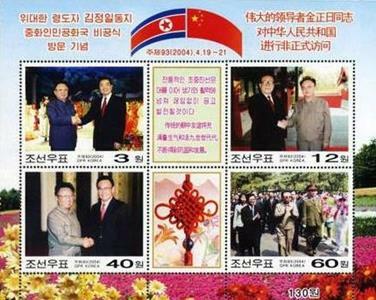 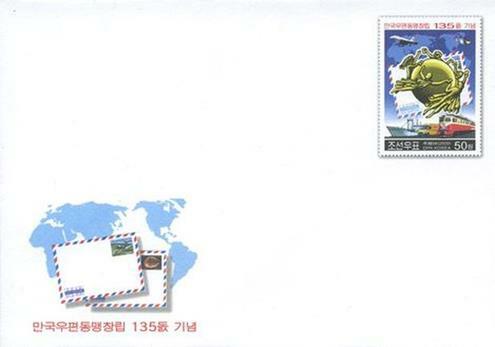 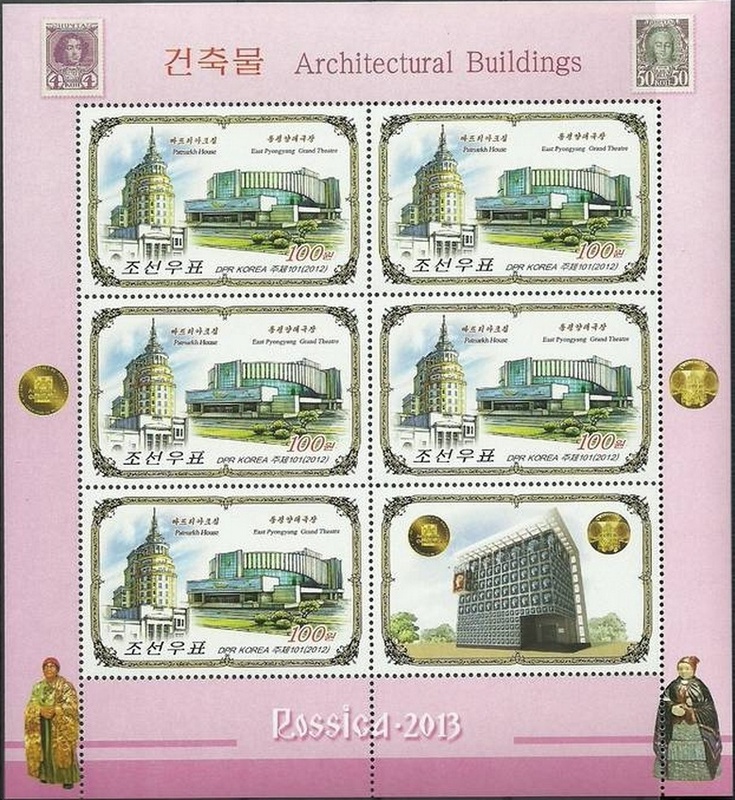 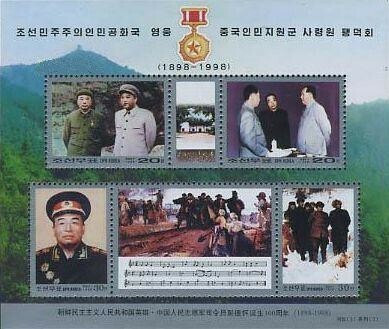 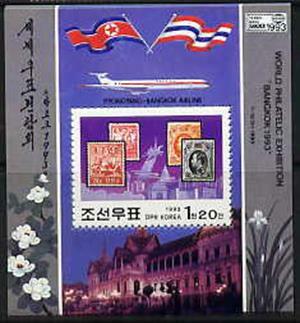 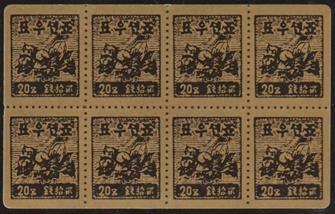 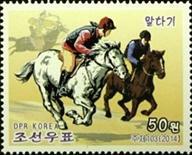 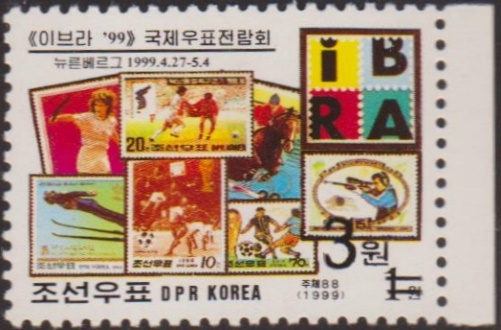 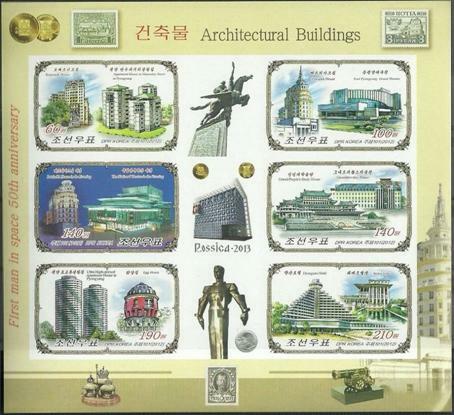 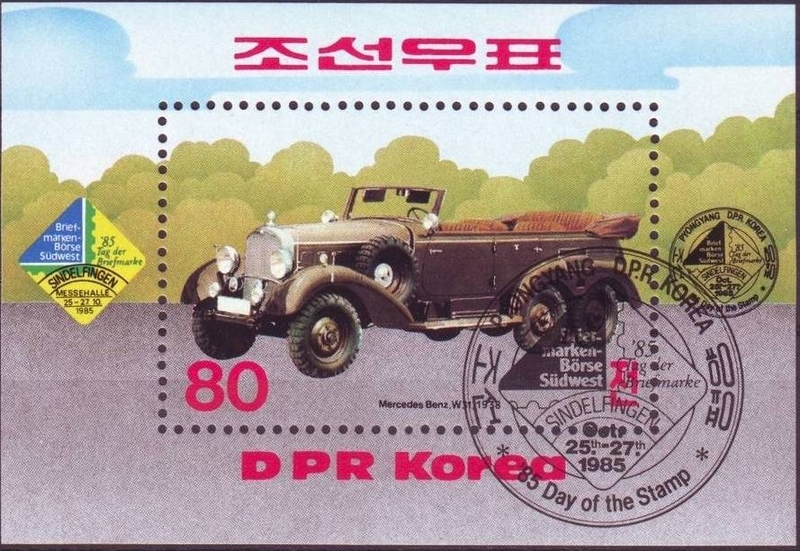 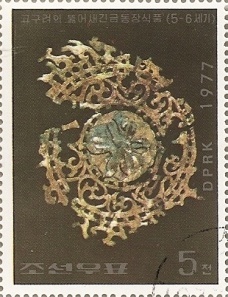 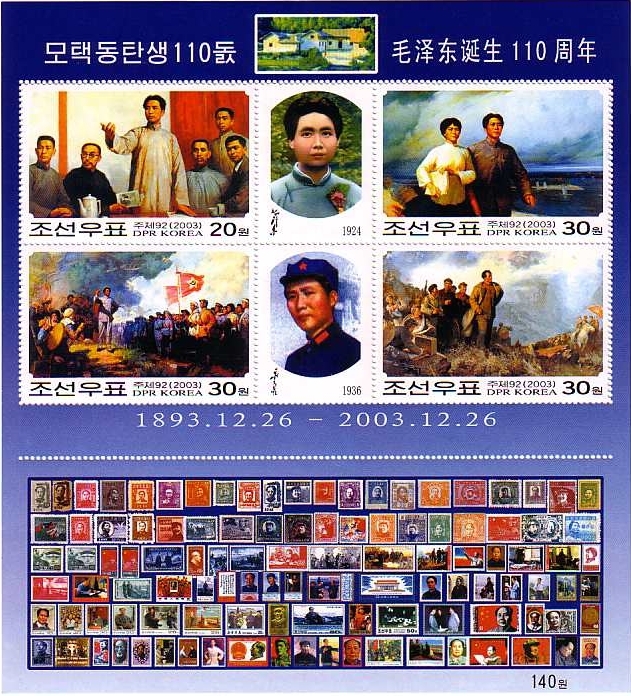 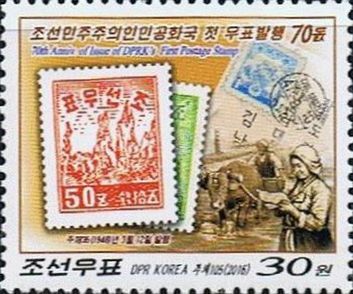 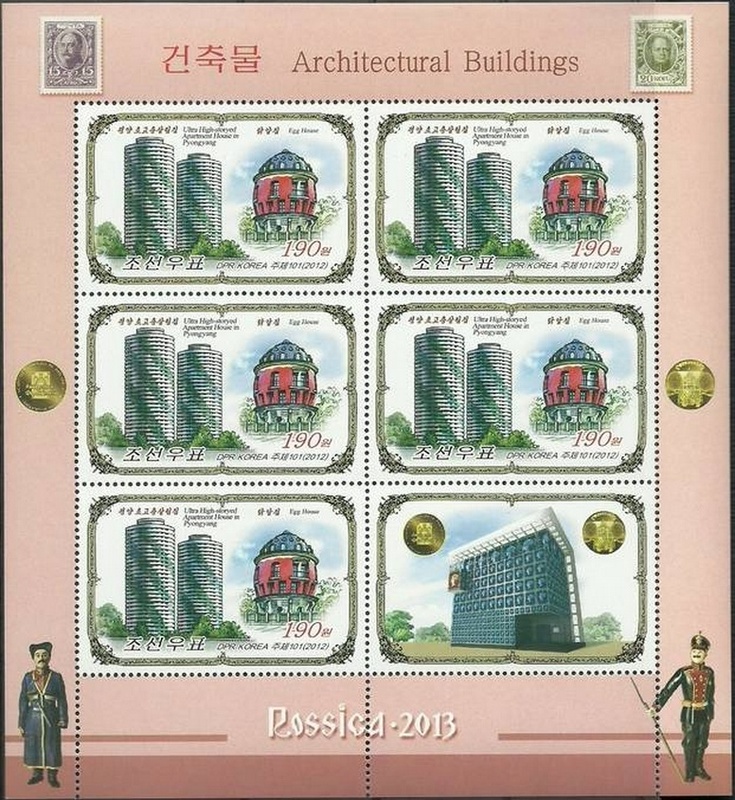 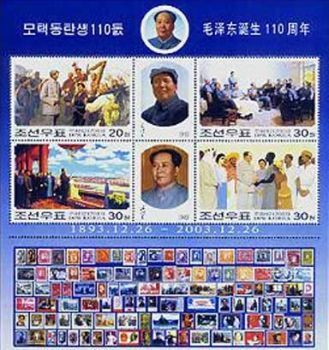 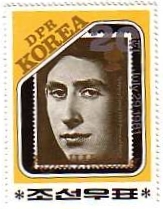 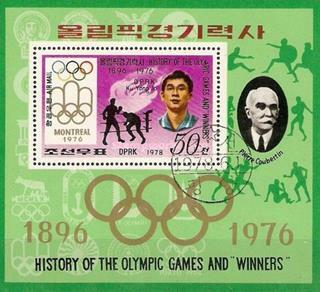 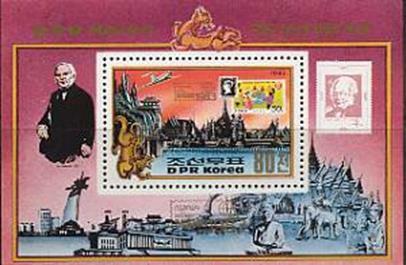 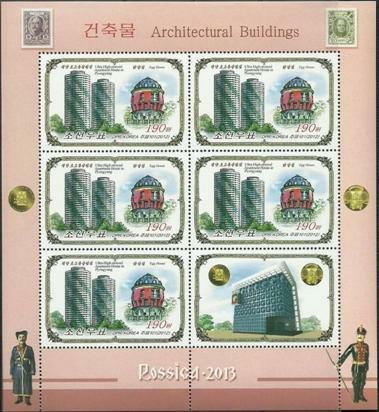 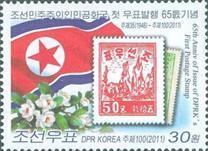 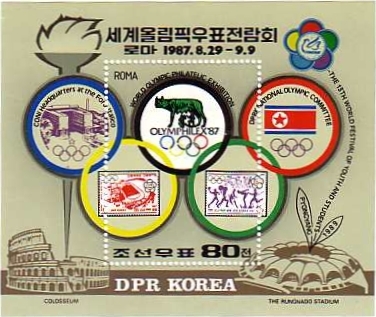 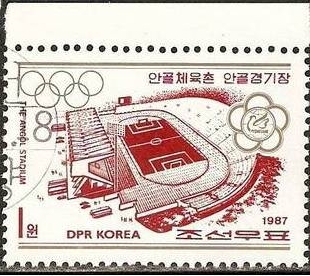 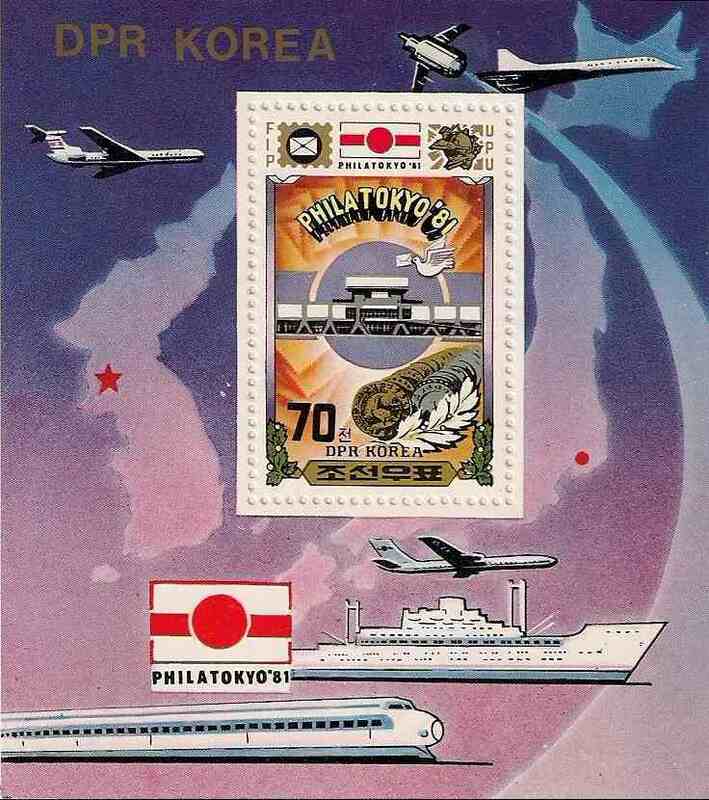 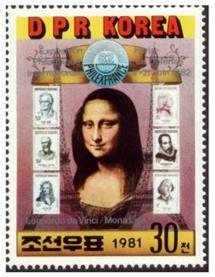 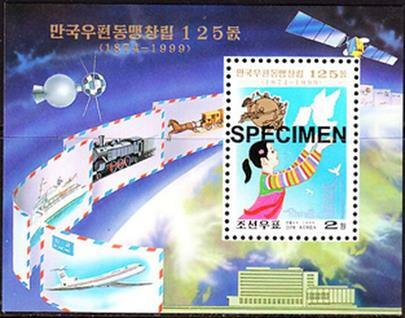 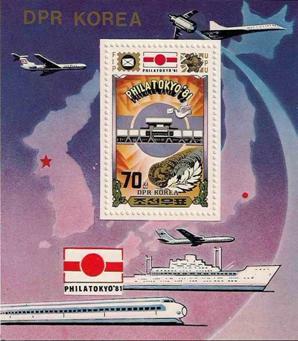 Compiled on the centre of 2.50 won souvenir sheet are the first Korean stamp Rose of Sharon and the first French stamp and depicted in the background is C. majalis. 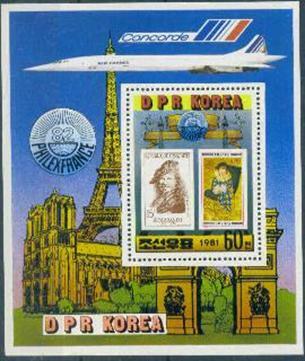 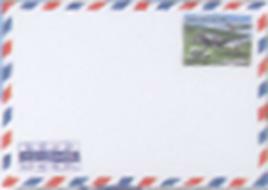 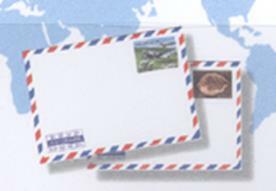 Depicted on the left part is the Eiffel Tower, on the right part the means of postal communications and on the lower right part its emblem. 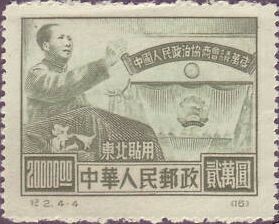 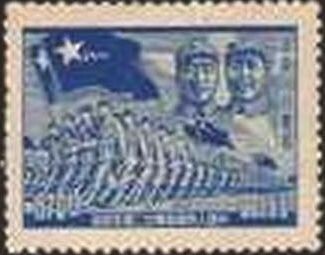 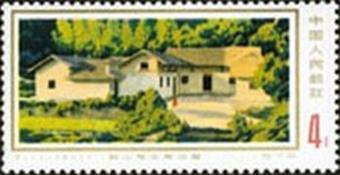 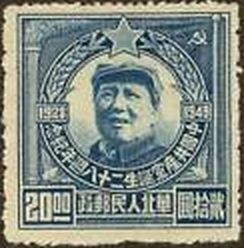 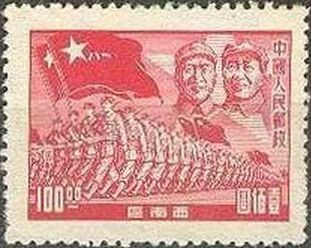 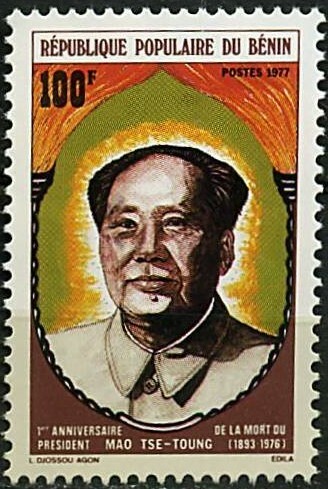 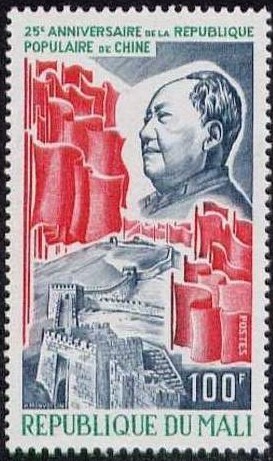 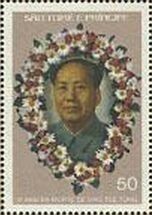 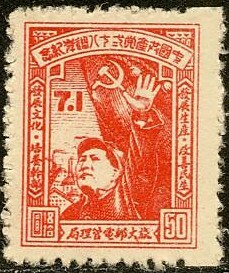 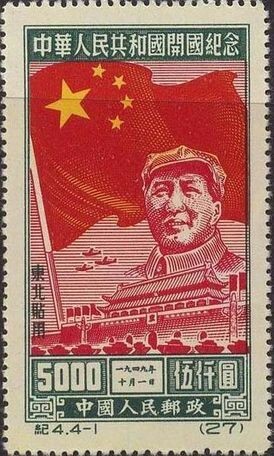 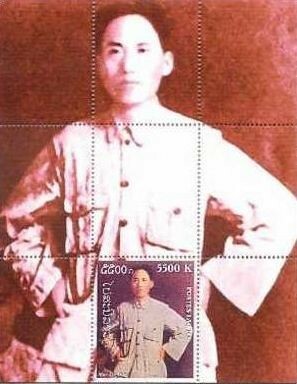 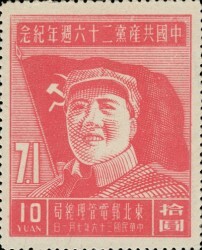 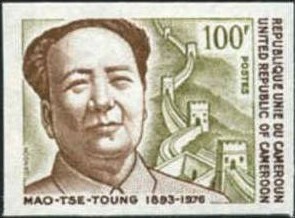 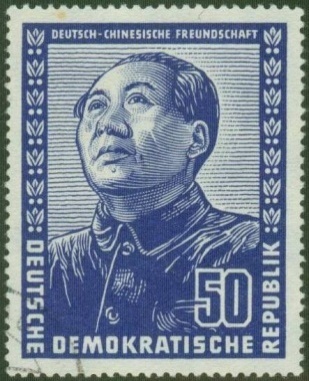 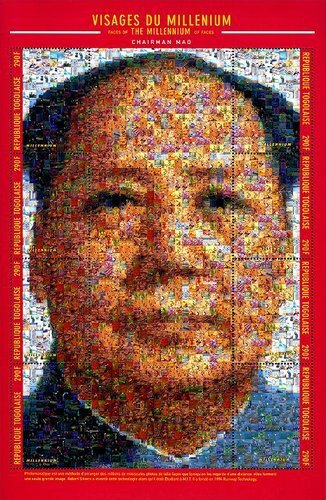 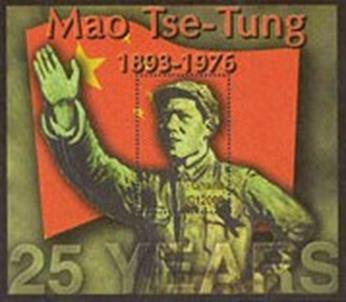 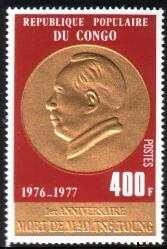 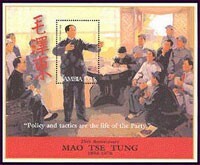 Yang numbers are from N.C. Yang, Yang’s Postage Stamp Catalogue of The People’s Republic of China (Liberated Area),1998. 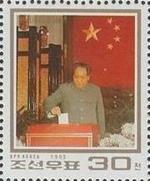 Yang’s area codes: CC=Central China; EC=East China; NC= North Central; NE=North East; NW=North West. 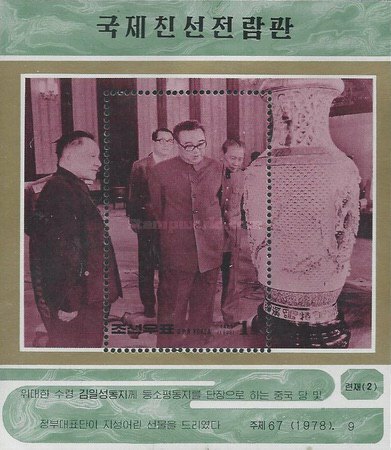 My IDs in the beginning was Korea north #4 and #2. 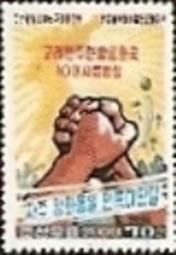 Lou wrote: I don’t agree with your IDs for the reproduced stamps. 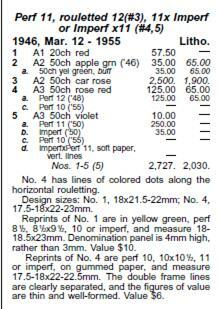 The print out from Scott that you sent matches my 2009 catalog page, but it looks like you cut off the additional notes. 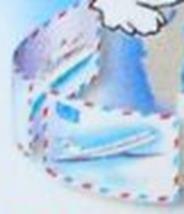 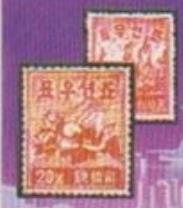 Mine says that on the #4 reprints, “the frame lines are clearly separated and the value figures are thin and well formed”. 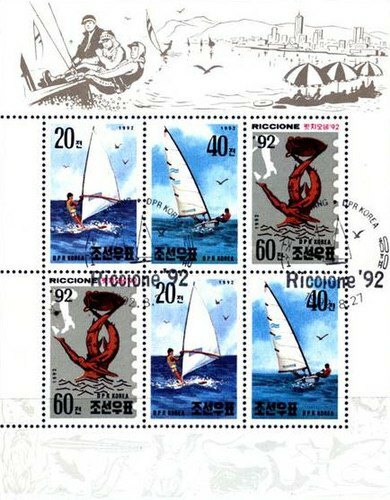 See the scans of # 4 which is the rouletted stamp in the Scott catalog, and the scan of the reprint from your Swan River site—the frames are separated and the numerals are definitely thinner and well formed on the reprint. 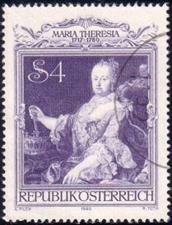 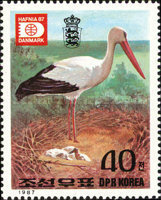 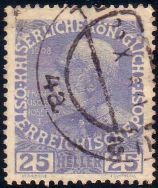 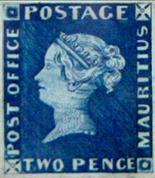 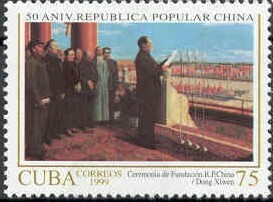 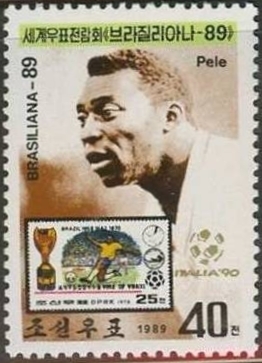 The reproduced stamp does not look like #4. 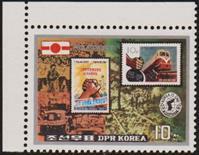 Regarding the partial green stamp-- as I wrote, Sc #2 has a double frame, the partial green stamp definitely does not. 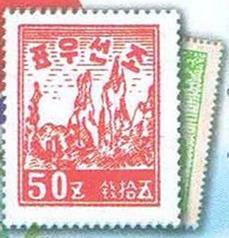 Also the lines of the mountains would show inside the right frame and there are only the partial top inscription and the horizontal lines of a # 1 design. 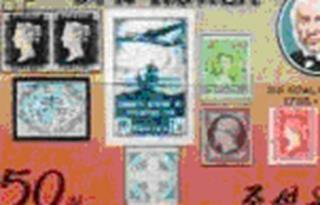 See my detail scan of #1 which matches the partial very closely. 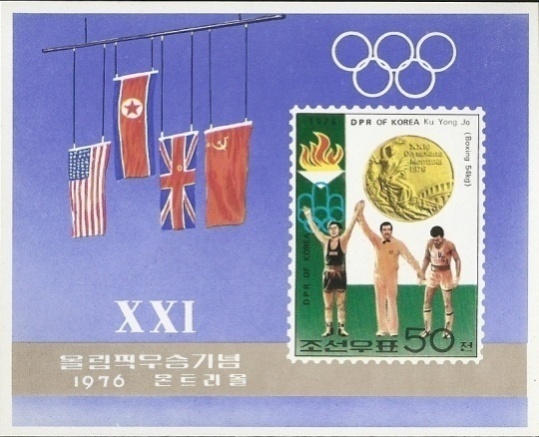 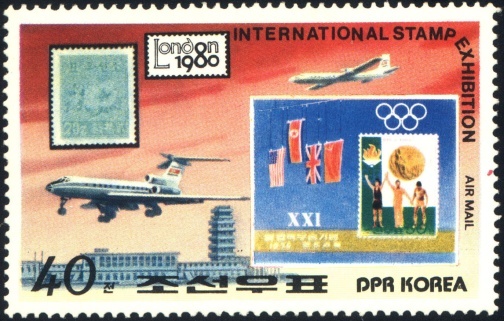 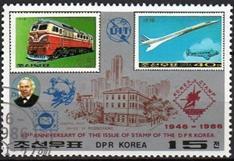 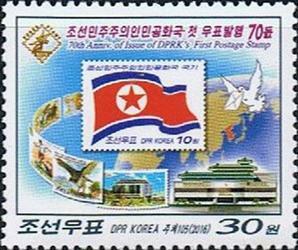 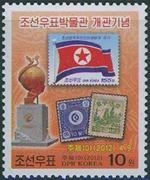 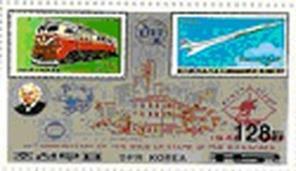 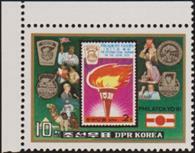 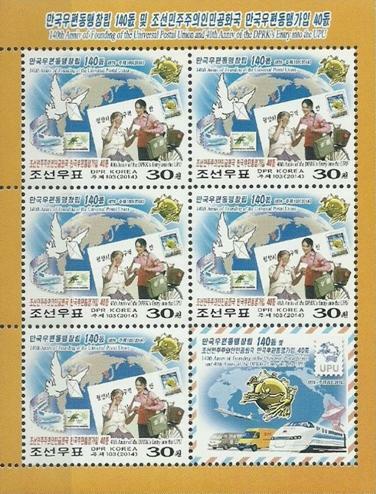 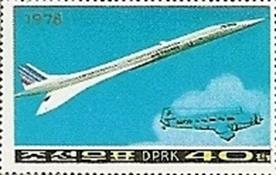 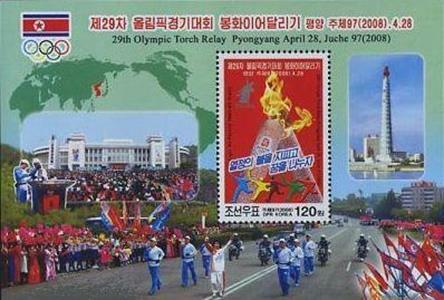 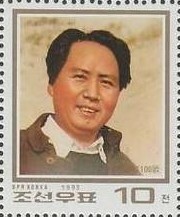 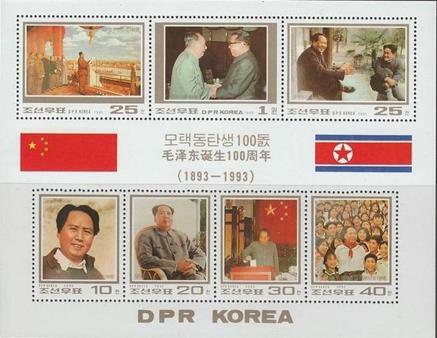 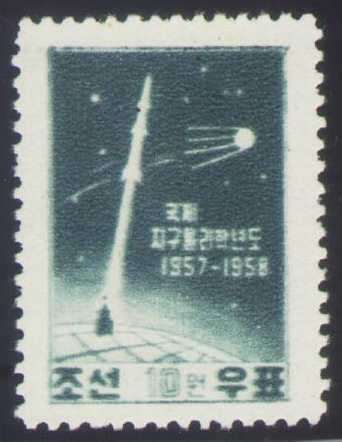 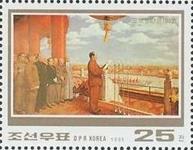 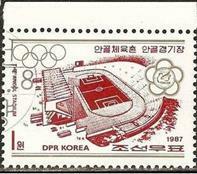 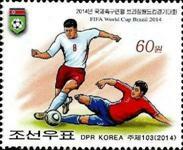 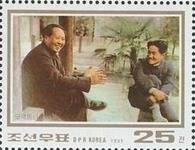 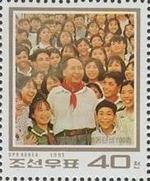 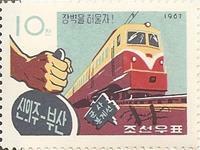 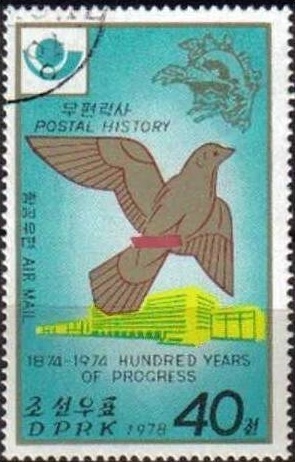 The only early No Korea stamp with a single frame is #1. 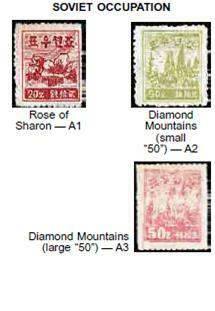 My old Michel Asien 1983/84 catalog lists a green Rose of Sharon as # 1 and a red Rose of Sharon as #2, and maybe that is correct, especially since the green reprints on the Swan River site also have double frames. 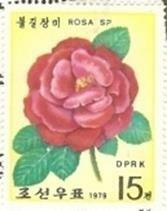 In my database I list the IDs as: DPR (No.) 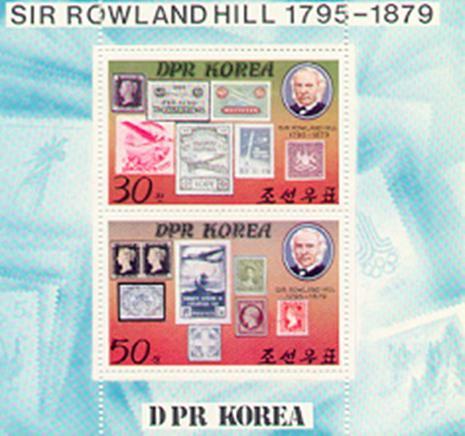 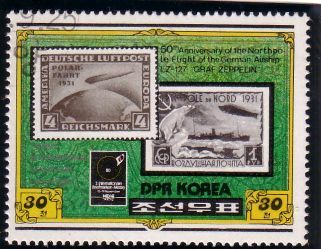 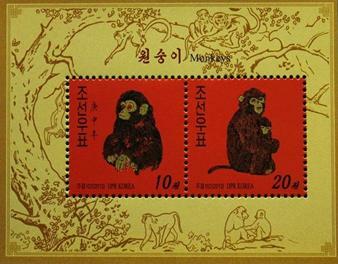 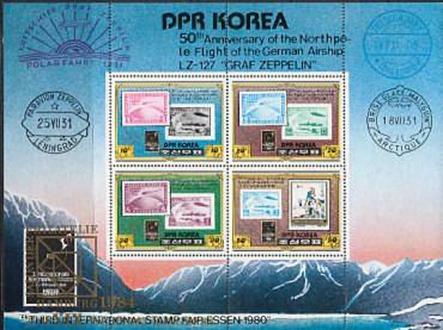 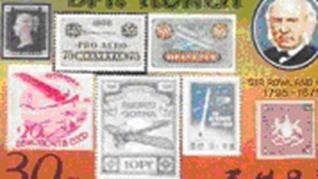 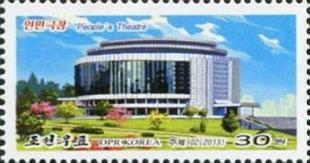 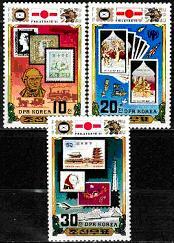 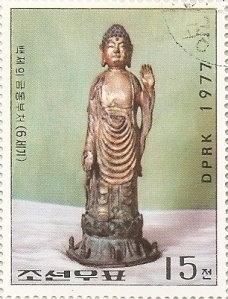 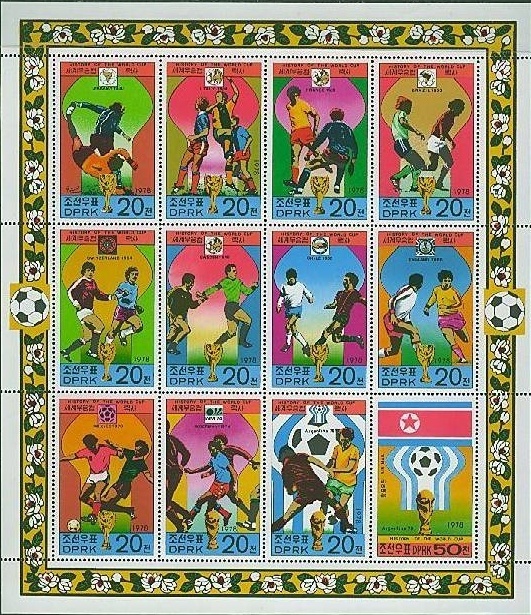 Korea #4— perfed reprint, #1— color variety reprint (partial)—both modified with designer enhanced perfs. 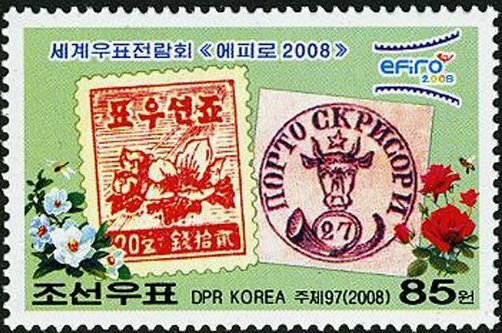 Maybe someday, someone will do a real study of the stamps and reprints—right now the info is just too incomplete and ambiguous. 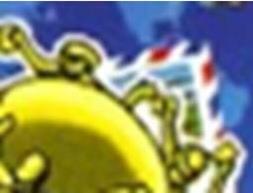 Well, as usual, I was convinced. 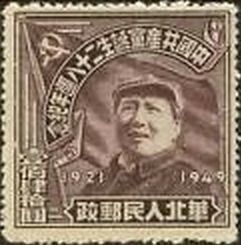 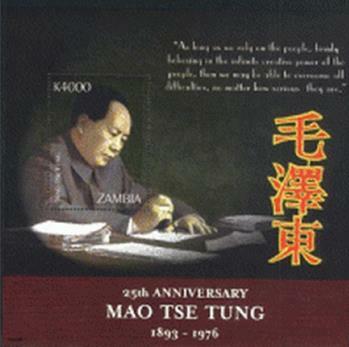 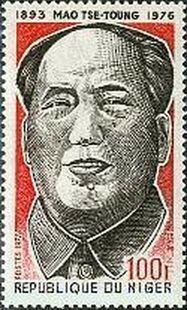 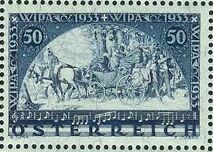 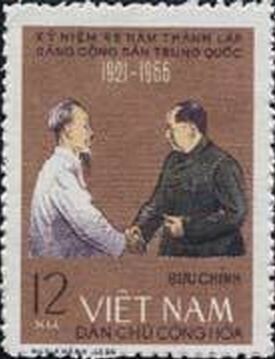 Lou Wrote: As usual, the designer used one of the later reprints of the 1946 stamp, which are next to impossible to find scans of, but I did come up with a very poor one, which is slightly better than nothing.